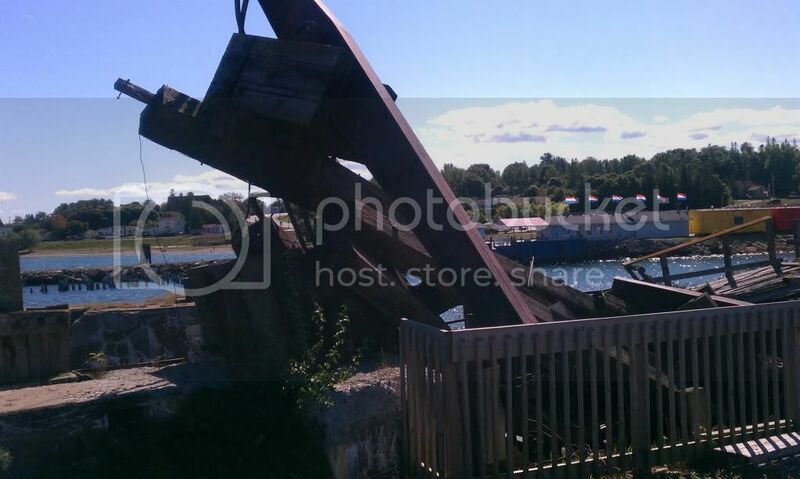 Nearly 30 years after being abandoned, the apron, "A "frame and counterweights of the Chief's dock in St. Ignace collapsed on Wednesday 08-03-11. 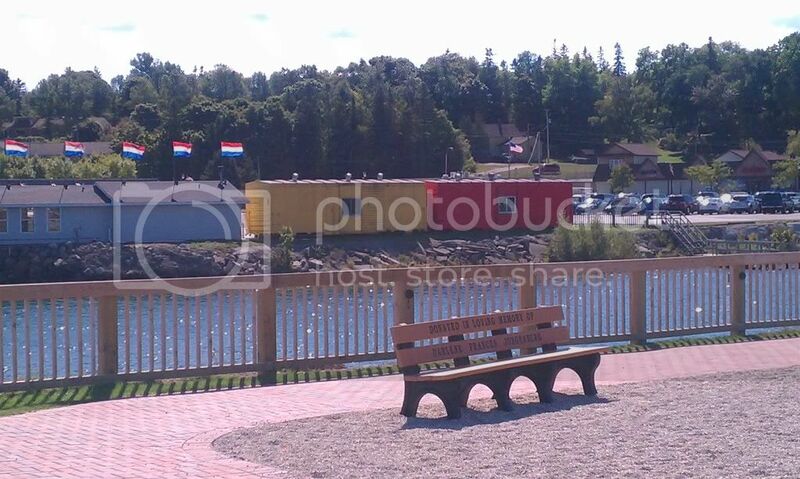 Too bad; it was quite a landmark and it was the first thing many people saw when they came into St. Ignace. Hate to see that happen after the city invested more than a few bucks into making the dock into a really nice park. Last edited by wawatam on Tue Aug 09, 2011 11:07 pm, edited 2 times in total. Location: Mason, Mi. / St. Ignace,Mi. I am sorry to hear this. I am one of those people that enjoy seeing the old, even if not used, railroad stuff. 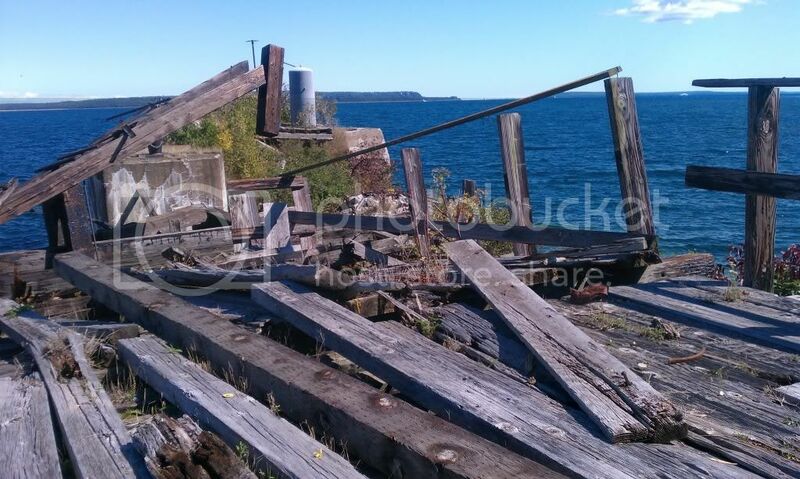 The other dock in Mackinac City wasn't looking in that great of shape when I was there in 2007. 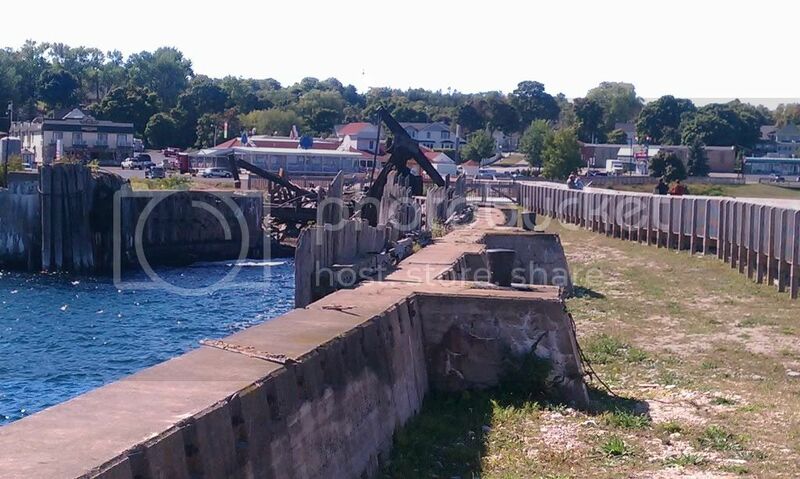 Does the City of Milwaukee dock in Manistee have an apron? I think it would help tell the story of carferries by having an apron at the site. Too bad the apron at St. Ignace collapsed though....it clearly survived many many winters with no maintenance. 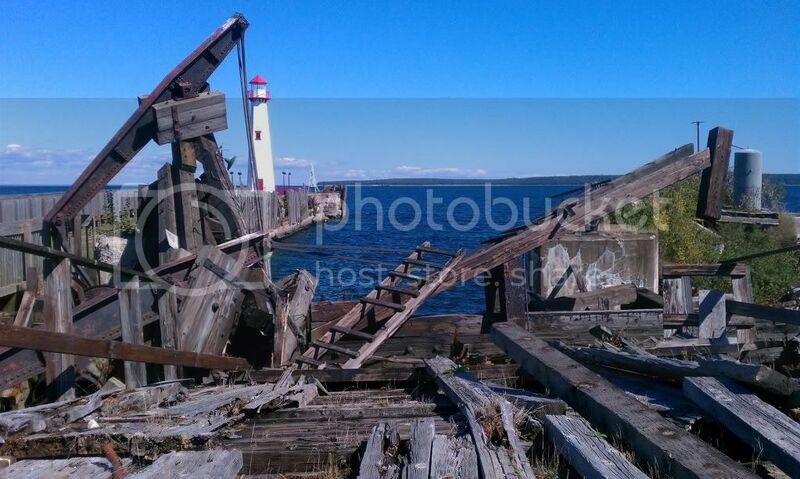 Wow, I was just up in St Ignace a couple weeks ago, and got some pics of the apron. Im glad I did now! 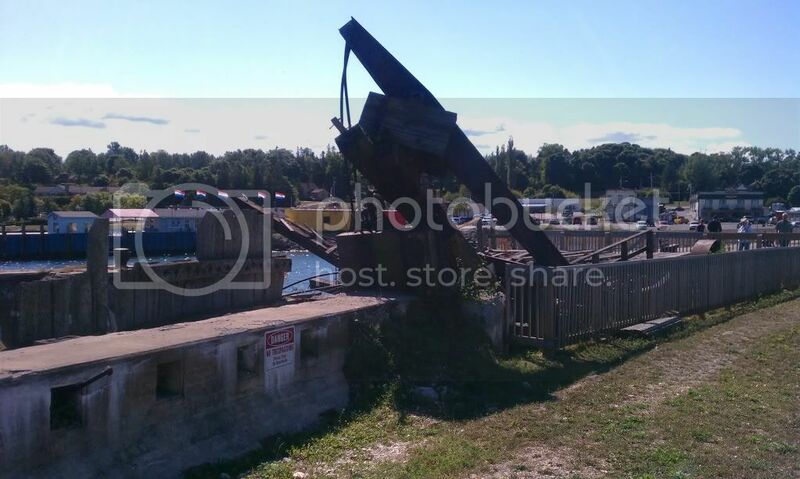 GP30M4216 wrote: Does the City of Milwaukee dock in Manistee have an apron? I think it would help tell the story of carferries by having an apron at the site. 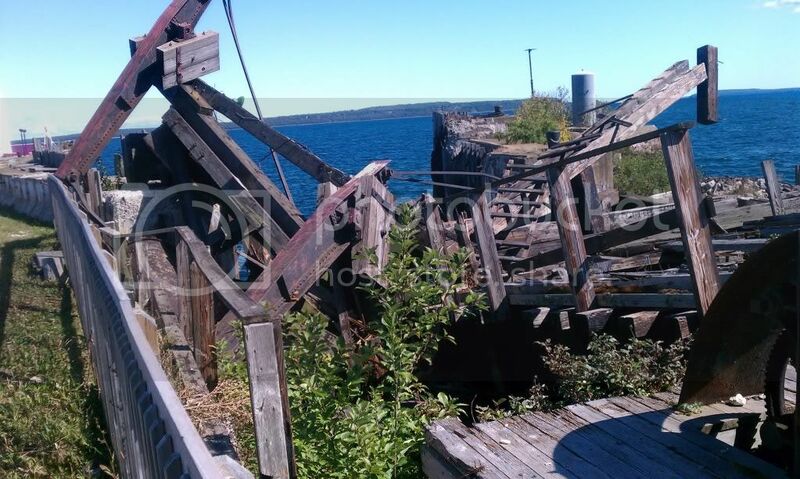 Too bad the apron at St. Ignace collapsed though....it clearly survived many many winters with no maintenance. No apron here. Both aprons are still in place at Elberta. 8/8 - Manistee, Mich. - The weekend of August 12-14 will be an open-house weekend to celebrate the 80th anniversary of the launch of the City of Milwaukee, and also to dedicate the USCGC Acacia as a museum ship. Dennis Hale and Art Chavez will be the featured speakers. Did the Chief finally get scrapped? It was a barge on the lakes still last I knew. The remaining barge version was cut up about November of 2009. What an experience seeing her in operation in the late 70s/early 80s. It was like going back in time. Interesting that one of the issues driving abandonment 30 years ago was the cost of repairs needed to avoid collapse, and it managed to survived this long after that. Saw the front page of the St. Ignace paper while here on Mackinac Island, and of course, it was the headline with pictures. While everyone is sad about it, there is apparently no money in that cash-strapped city's budget to do anything about it. For anyone who is interested, BOATNERD has a several pages of pictures of the Chief in the Historical Perspectives Gallery. Also, my nephew posted some of my poor quality 8 mm movies of the Chief on Youtube. Tim. True. But it likely would have collapsed a long time ago in daily use. I just missed it. I was in St Ignace on August 4. Nice pics GTF. Thanks for posting. I was out that way in August but did not have time to get over to St. Ignace.